Perfect for all occasions and seasons. Notes:Pictures have been taken with great care, however, there might be a slight variation in colors as computer monitors varies. 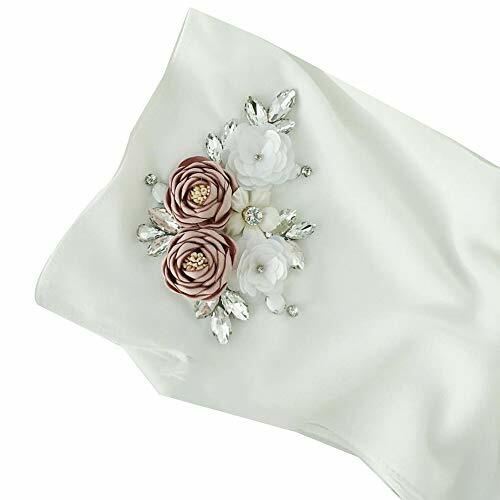 New Style high grade ultra soft chiffon rhinstones flowers hijab scarf shawl head wrap,fit for both formal occasions and everyday needs! Skin-friendly. Size:70×30 inch (180×75 cm). Long size is more suitable for daily look. This hijab is customize,so it needs 7 days for handmade. You will be very satisfied with its workmanship. This hijab is great for Ramadan,EID,Party and any important occasions. You also can wear it in daily life. The breathable fabric is suitable for all seasons. YI HENG MEI focus on high grade muslim apparel,we offer high quality new style abayas,hijabs and so on. 100% Real model photos, what you see is what you will get. Package Include: 1 Hijab / Hand wash or machine wash, cold, gentle cycle. Dry flat or hang to dry. Do not bleach./Generally speaking, the postman will deliver your parcel in/at your mailbox.Pls check your mailbox first, any problems about delivery, feel free to contact us first. If you have any questions about this product by YI HENG MEI, contact us by completing and submitting the form below. If you are looking for a specif part number, please include it with your message.